Do you want to protect your website domain and looking for free web security? Get the website security certificates that put your mind at rest without any website security check issues. Buy Comodo Cheap SSL Certificate, HostGator CodeGuard and SiteLock for your online store. SSL Certificate - This small data files digitally bind a cryptographic key to your site details. It encrypt all data transmission from your website and it visitors. 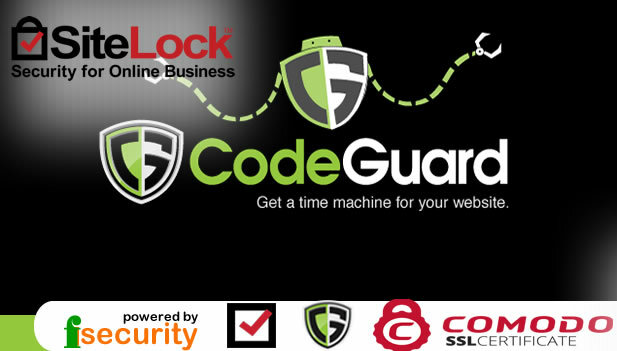 CodeGuard - This is the world's leading offsite website backup & monitoring service. SiteLock - Keep all your websites datas safe from hackers & malware. SiteLock security free website scanner scans your site daily, looking for things that shouldn’t be there; gives you phone or email alert quickly if suspect anything. Don't suffer through a security breach. Take action before there is a problem, get web security software!